Being Perpendicular to the Mid-Noon Sun Rays, heat easily penetrated into the house making the interiors very hot. Flat roofs made it difficult for Rain water to easily drain away from the roof, causing stagnant water that caused the concrete to weather and corrode. So, in late 1990s, we saw the return of the Sloping Roof adapted to the new Construction Method- Tiled Roof Over Concrete Slabs. The most essential feature of any roof is dependability, since it must keep the weather out and keep the inside of your home comfortable through every season. A good roof should also provide a barrier against fire, protect the inside of your home from excess heat and provide aesthetic appeal. 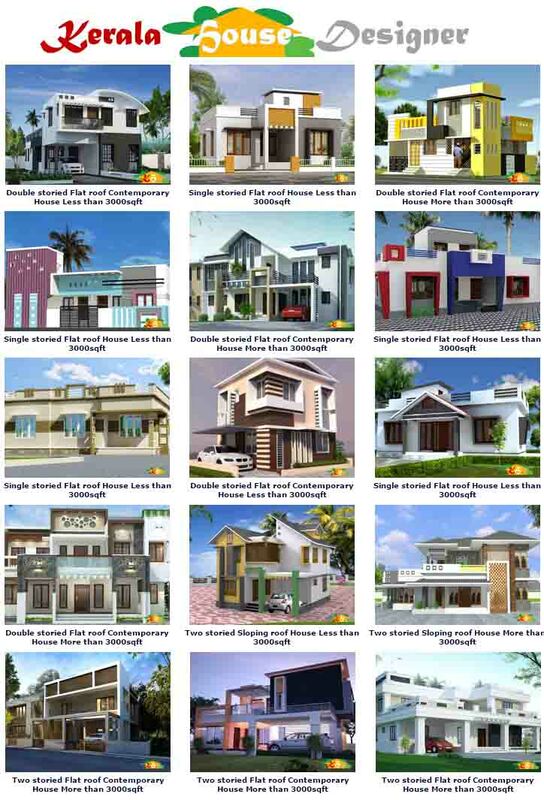 Designing and selecting the right sustainable roof depends largely on the climate where you'll be building your new home, since not every roof will suit every climate. If your cooling needs are greater than your heating needs, like in the hilly regions of Wayanad or Idukki, you'll want to make sure your roof is a light color to reflect the sun's heat and reduce the energy costs of heating equipments. Correctly installed roof vents will ensure good air circulation, critical to reducing heat build-up and eliminating interior moisture problems. 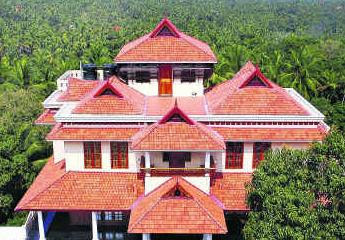 This used to be a prominent feature in Traditional Kerala homes. Nowadays, we see materials other than Cocrete & Terracotta tiles used for constructing the Roof. 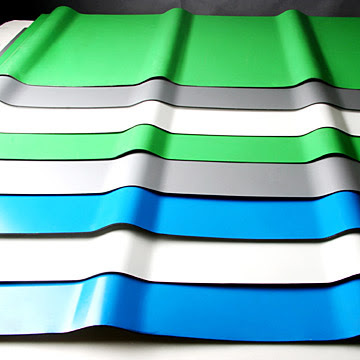 One of the innovative entrants is the Aluminium Composite roof which has many advanced properties like superior Heat Insulation, Durability and comes in various Glossy finishes. It is advantageous in terms of sustainability, particularly because it contains a large portion of recycled material and can be recycled indefinitely. 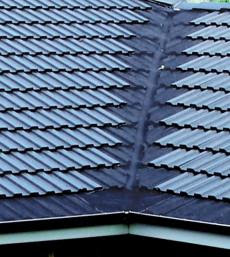 Steel, copper, and aluminum roofing are durable materials, fireproof, and lightweight, making them an especially good choice in fire prone areas and in earthquake zones where heavy roofs are a liability. Durability: The longer it lasts, the less waste. Weight: Heavier materials require a stronger underlying structure, which usually means increased use of resources. Rainwater collection: Is the rainwater safe to use? Manufacturing: Does the roofing manufacturer use green practices and materials to produce the roofing products? Recycling: Can the material be reused or recycled after its lifespan is over? When considering a new roof, the two key dimensions you should think about are the material and the color. A high performance roofing material will help to keep your home warm in the winter and cool in the summer. Your roofing material is the final layer of protection from the outdoor elements and from indoor heat loss. When deciding what's green and what's not, you should consider several aspects of a given material. These include the raw material source and composition, durability / life cycle, maintenance, and disposal. It should be no surprise that a light colored roof reflects heat and a dark roof absorbs it. Light colored roofs are roofing materials that have a high solar reflectance rate and thus help to reduce outdoor temperatures and reduce heat transferred into a house. If you live in a heating-dominated climate outside of the city, dark roofs may be the way to go since they will capture more of the sun's energy during cold weather. 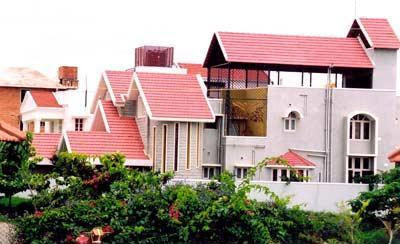 So, it is advisable to use light colored roofs in Kerala's hot coastal plains and dark colored roofs in the cold hilly regions.